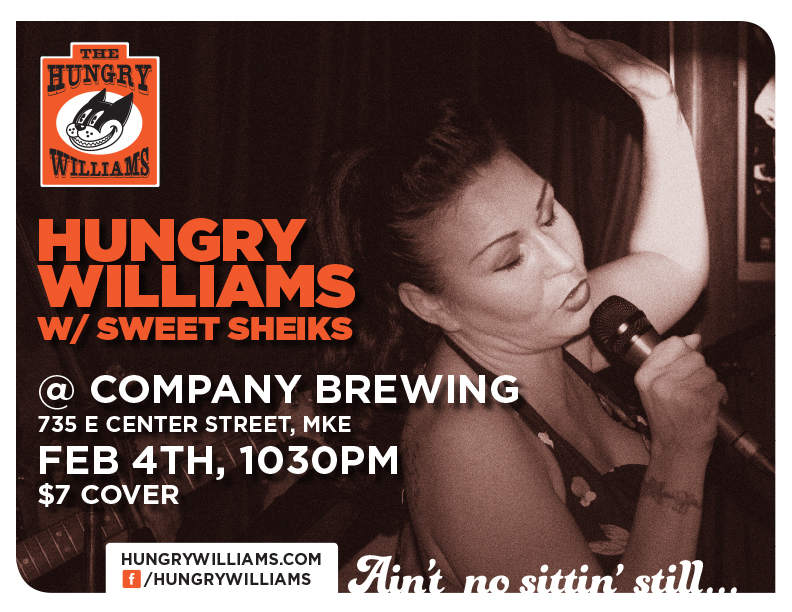 Feb 4th at Company Brewing! We’re excited to share a bill with the fabulous Sweet Sheiks. It’ll be a night of New Orleans music with tons of room to dance at one of Milwaukee’s best venues, Company Brewing. Come early, have a meal, wait an hour (like mom says), then swing the night away.